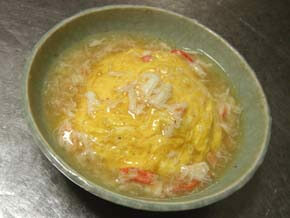 Tenshinhan is the rice topped with omelet and thick starchy sauce. Step1:Roast eggs. 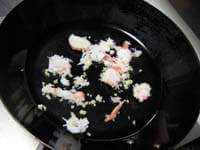 Step2:Put the omelet on the rice of the container. Step3:Make starch sauce.Step4:pour sauce over rice. 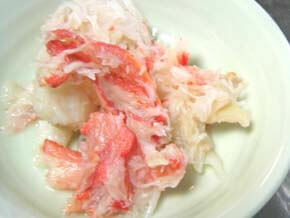 It is a delicious recipe of Tenshinhan. 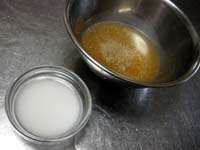 To mix seasonings of Starchy sauce together.Dissolve katakuri starch in water. 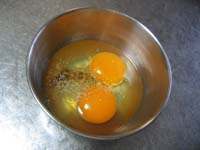 Put eggs into a bowl.Stir soy sauce,sugar,salt, and pepper into the bowl. 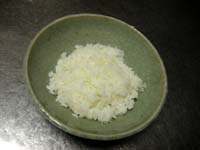 To serve rice in a bowl. 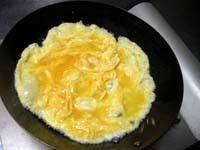 Heat more salad oil than usual over medium heat in a frying pan.And fry egg. 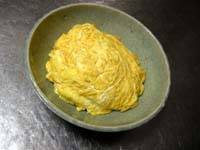 Put the omelet on top of rice. 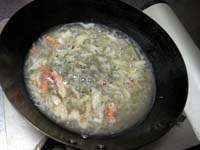 Heat oil over medium heat in a frying pan,stir-fry the ginger and crab meat.Add seasonings and boil. 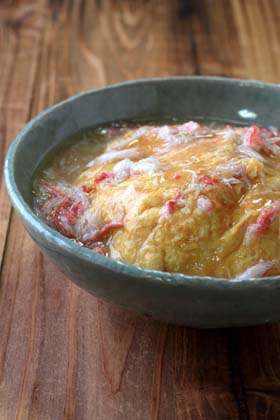 Thicken that sauce using watered katakuri starch,Add sesame oil. 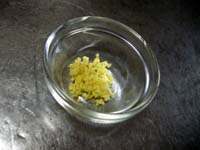 coypright(C) cookingforest. All rights reserved.